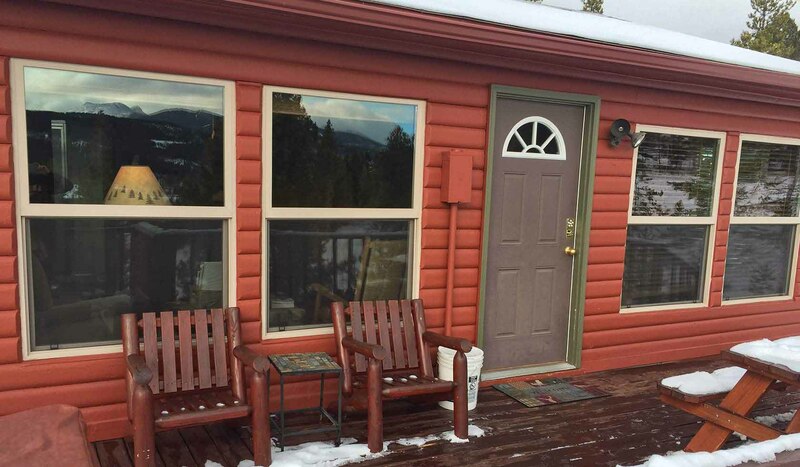 Whispering Pines is a great getaway cabin any season of the year. Check available dates and book online at www.mtcabin.com. Enjoy the views from the hot tub on the deck. The cabin features 2 bedrooms; one with a queen size log bed and the second with a bunk bed, double on bottom and single on the top. The living room features a cozy gas stove, panoramic windows, TV/VCR/DVD and a hide-a-bed which can sleep 2, for a maximum occupancy of 7 guests. The kitchen is stocked with dishes and all linens and towels are provided. Enjoy blue ribbon fishing at nearby Rock Creek, Warm Springs, the Clark Fork River and Big Hole Basin. There are a variety of seasonal activities for spring summer, fall, and winter, including excellent hiking, golfing, fishing, downhill and cross-country skiing, snowmobiling, ice fishing, hunting and more! Located in the heart of scenic southwestern Montana minutes from Georgetown Lake, Discovery Basin Ski Resort, and Montana's only Jack Nicklaus Signature Golf Course. Exceptional outdoor recreation abounds with spectacular views of the Anaconda-Pintler Wilderness forming the backdrop.